EAST RUTHERFORD, N.J. (AP) — The New York Giants are trading star defensive tackle Damon “Snacks” Harrison to the Detroit Lions, a person with knowledge of the deal told The Associated Press. ESPN was the first to report the trade, which comes less than a week before the league’s trading deadline at 4 p.m. Tuesday. Harrison joined the Giants as a free agent in 2016, signing a five-year, $46 million contract. He was named an AP Pro in helping them make the playoffs in 2016. The seven-year veteran never missed a game in his 2 1/2 years, starting 39 times. He had 31 tackles and a forced fumble this season. The Lions (3-3) have one of the NFL’s worst run defenses. The line has been without end Ziggy Ansah most of the season. Former Giant Romeo Okwara has been in the rotation at end for Detroit. Second-year pro Dalvin Tomlinson and rookie B.J. 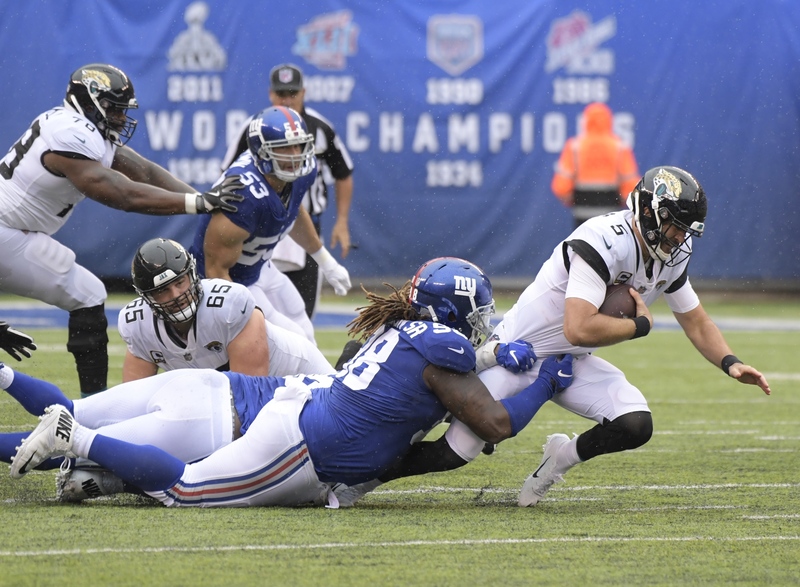 Hill will handle the Giants’ tackle spots, backed up by veterans Josh Mauro and John Jenkins. Rookie RJ McIntosh has started practicing after spending the season on the non-football injury list.